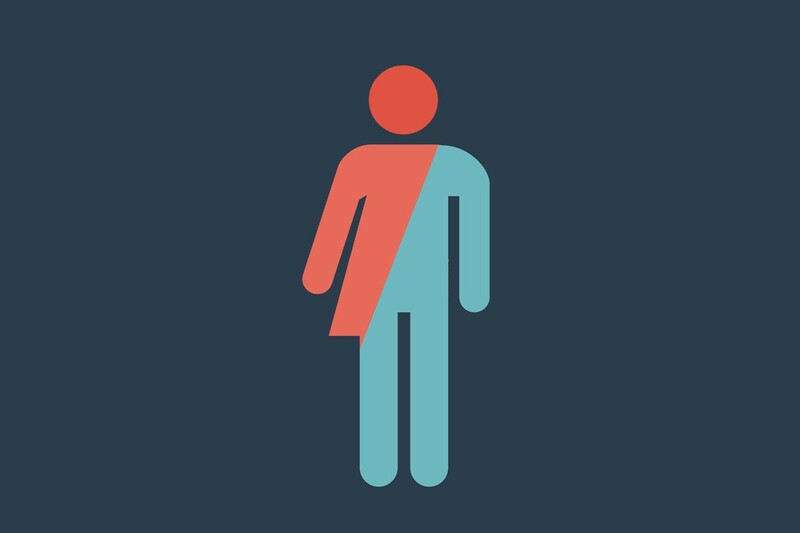 There recently has been a significant amount of buzz on the subject of gender and bathrooms, with a fierce debate on the state and national levels surrounding the right of transgender and gender-nonconforming individuals to use the restroom that matches their identity as opposed to the gender designated on their birth certificate. Much of this debate revolves around the idea that restrooms are designated for males and females and is fueled by the unsubstantiated idea that people might use a less restrictive approach to bathrooms as a means to prey upon women or children. If you are a Solo Mom who grew up like I did with the understanding that restrooms are “male” and “female” and that it’s always clear which restroom a person should be in, here are some things you should know about gender-inclusive restrooms and why they’re important. 1. The absence of gender-inclusive restrooms can cause discomfort, danger, and/or physical harm for transgender and gender-nonconforming people. Although increased media attention to transgender celebrities might give the impression that Americans as a whole are becoming more tolerant and accepting of transgender individuals, it should be noted that more transgender people were murdered in 2015 than ever before. All too often, restrooms are places where transgender individuals experience harassment and assault. In addition, when people take it upon themselves to police other people’s bathroom use according to perceived gender, it can pose a risk to anyone who doesn’t look stereotypically male or female. A colleague said this about her public-restroom experiences: “I’m not transgender; I just don’t look like the social norm for female. I try always to use family restrooms because they are safer.” She went on to describe numerous incidents of harassment, threats, intimidation, and even physical assault she has experienced in public restrooms by females who have decided that a person with her appearance should not be “allowed” in the women’s room. 2. Society is changing its understanding of gender, and our youth are leading the way. As information about gender identity and expression becomes more readily available, growing numbers of teens and young adults are embracing different gender identities and expressions than those that were assigned to them at birth. So although the subject of gender-inclusive restrooms might seem to some people as a topic that pertains only to “others,” Solo Moms could realize that the gender-inclusive restrooms issue may directly affect anyone in our lives at some point in time, including our children. Two years ago, a colleague told me she hadn’t given any thought to the question of gender-inclusive bathrooms because it didn’t apply to her or her family. This year, her college-aged son came out as a transgender person. 4. It’s a social-justice issue. According to Dr. Genny Beemyn, a national expert on the subject of creating positive college climates for transgender and gender-nonconforming students, a growing number of college students have identities outside “male” and “female.” Beemyn says that when a nonbinary student arrives on a campus that does not offer gender-inclusive bathrooms, the message to the student is that they are not welcome. 5. It isn’t about putting children or women at risk. Despite a certain amount of hysteria and propaganda about this supposed risk, there are no known instances of people using gender identity as an avenue for preying on other people in restrooms. Really, people just want to be able to pee in safety. Recently, I had my own first experience in the realm of gender-inclusive bathrooms. During a first-time visit to a college campus, I needed to use a restroom, and the nearest one available was a gender-inclusive bathroom of the multistall variety. It was situated in a large and busy dining area, and I have to admit, despite my strong belief that gender-inclusive bathrooms should be available everywhere, I still grew up with the notion that restrooms are “male” and “female,” and I had a brief moment of hesitation before I walked in. And you know what happened? I used the restroom. And so did the other people there. The experience, like the issue at hand, was really that simple.